INTO is an innovation for carrying out a goal oriented and analytical crafts process. In this innovation the student will plan, recognize, verbalize and document a crafts project and the associated learning phases by keeping notes in their digital learning diary. In these fractured and hectic times, being able to see the bigger picture, concentrate and carry out a long-term project from start to finish are skills that will be needed more and more. Carrying out and completely a creative project also builds critical thinking skills, evaluation skills and fine motor skills. In Finnish schools crafts is a subject in which students interact with different making materials, they design products and are able to creatively express themselves. The activities include planning, producing, and assessing a product; and they can either work independently or in a group. With crafts, a student can develop their spatial perception, motor skills, and planning skills in a creative way. Doing crafts is always experimental and gives students opportunities to make decisions such as which materials to use, how to implement the project, the visual design of the product, and the production process. The crafts process teaches kids how to work long-term, plan and carry out projects phase by phase, as well as reflect on their learning and recognize areas of development. In addition to skills and understanding, crafts give students pleasurable experiences. These are all key parts of the Finnish Curriculum. Guiding the student to understand and handle an entire work process and document it. Guiding a student to use digital tools to plan and produce a craft-based project/product, and document the process. Guiding the student to assess, appreciate, and review their own and other’s entire process of a finished craft product in interaction with others. In INTO learning diary projects, a student will plan, recognise, verbalize, and document the work process of a craft project as well as the associated learning phases in their digital learning diary. They will be guided to set goals for their learning and observe and evaluate their learning. This innovation presents step-by-step instructions for guiding a student through this process. Smart devices – a tablet or a phone, Arts and crafts school departments with making materials/equipment (depending on the project). Having a crafts project that is digitally documented is a new way to teach skills needed in future work life. The students will grow into adults who can observe and verbalize their own work as well as evaluate it. 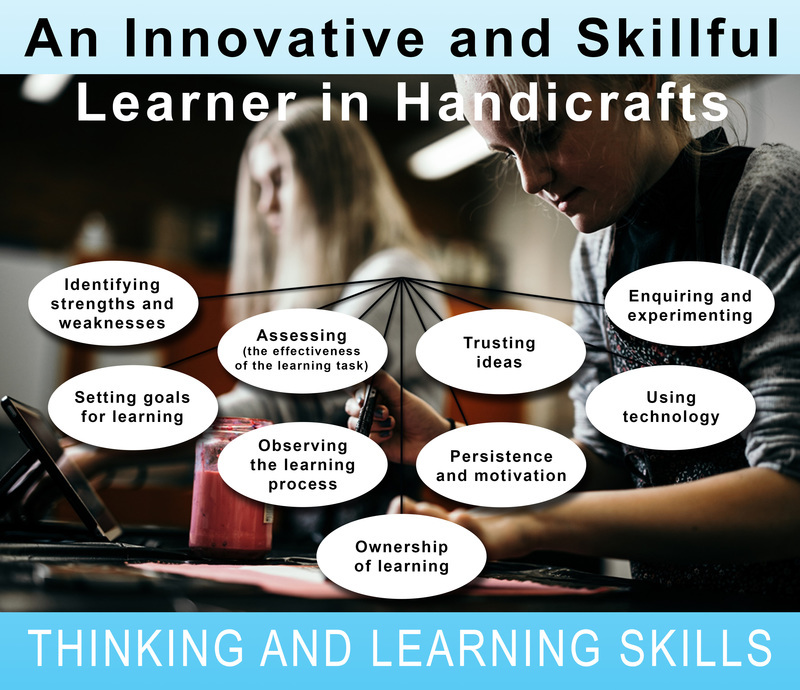 Schools across the globe have the potential to have crafts projects that can be documented, and the learning diary can also be applied to other kinds of project based learning. Write down what the goals for the crafts unit are and what will the students be required to do to reach the goals. Choose the devices and application students will use to make their digital learning diary. Plan what your students will document and how they will evaluate themselves in their learning diaries. Plan the way you will give students feedback so that it guides students through the craft project and the work with the learning diary. At the end of the unit, it is best to organise an evaluation discussion and summative peer review.